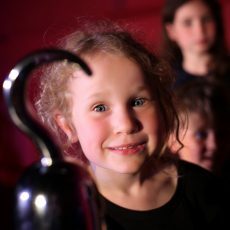 An introduction to theatre and theatre techniques for young people aged 9 to 12. Develop voice, movement and text work as well as improvisation and performance techniques. The sessions will include a mix of games, storytelling, singing, movement, music and more! A chance to play, make new friends and build confidence. The course is payable in one whole term or two half-term payments, this is to make payment easier, and should not be taken as an option to only enroll for the first half term. Due to high demand for this course, failure to pay for the second half term by 15.10.18 will result in your place being forfeited.